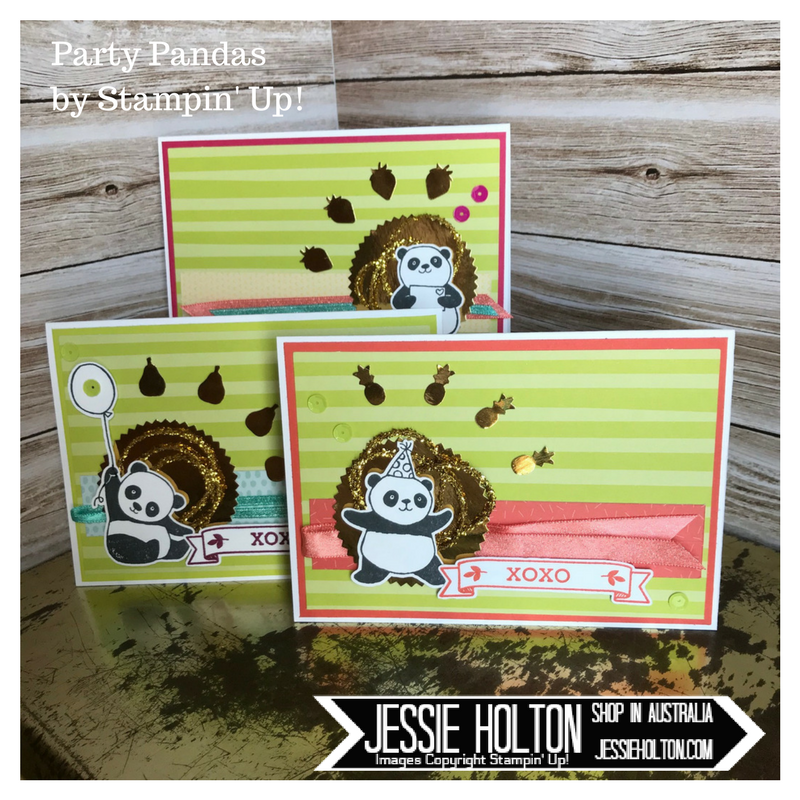 Today I'm hopping with a new crew, organised by the oh so lovely & very talented, Kim Oliver. Thank you Kim for having me on this new venture! 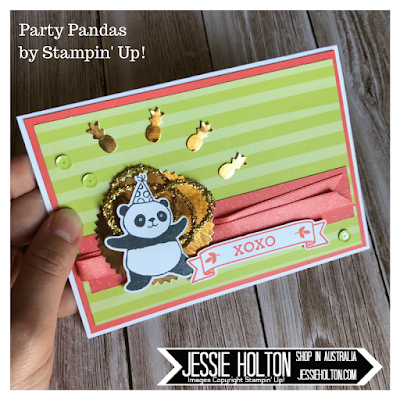 I'm excited to show you these adorable Party Panda cards I have been having a ball making! Everything from the Sale-A-Bration catalog is FREE with any $90+ order! Free! Crazy town! What's this DSP? 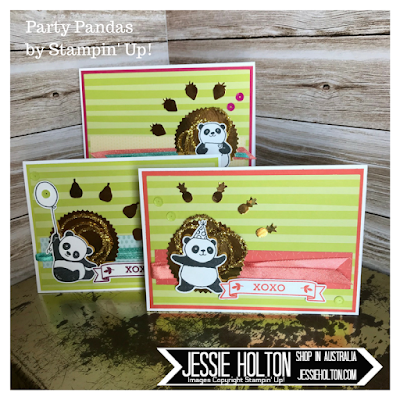 It's the Sale-A-Bration Tutti Fruitti Cards & Envelopes pack! 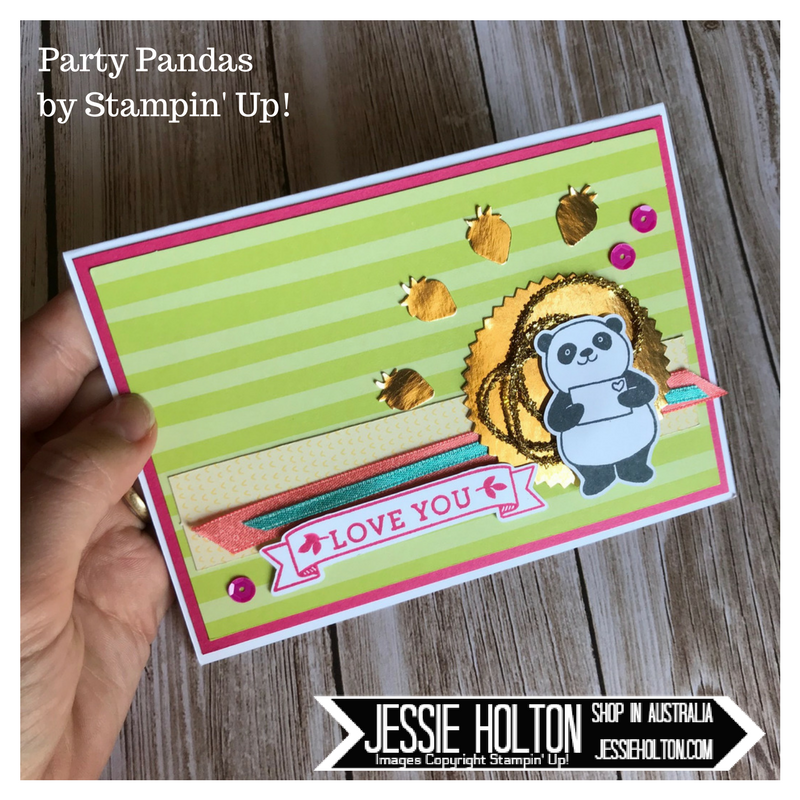 I've chopped it up #loveitchopit & used it as the background of my card, so I've got forty card fronts from twenty cards. Yes, I made a bunch of these haha! And I've also used the scraps to make the layer under the ribbon. 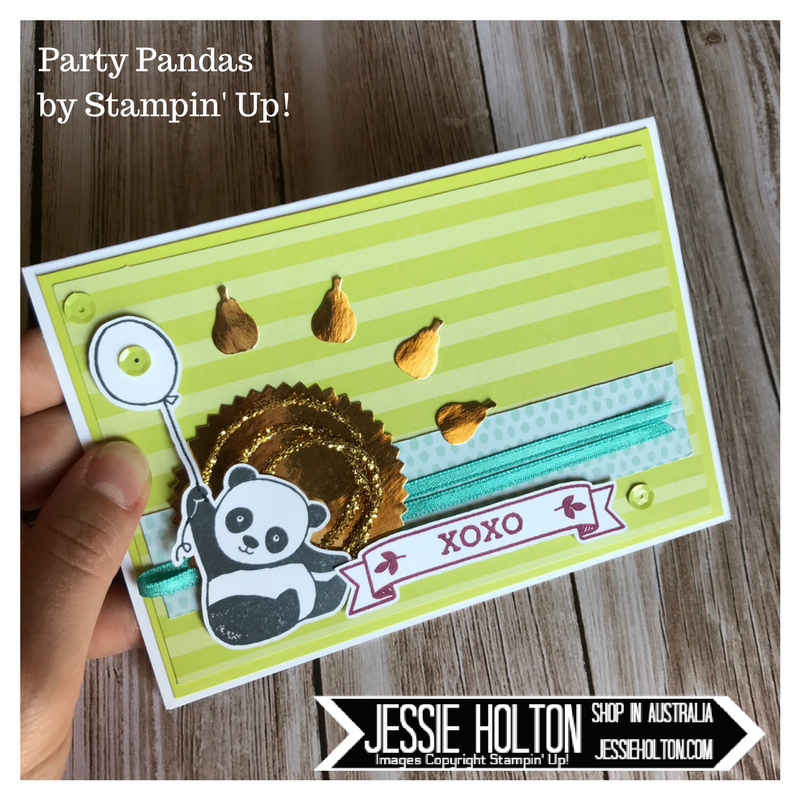 This cute panda is totally addictive! You may have also noticed the Sale-A-Bration Shimmer Ribbon Combo Pack, it's gorgeous & comes in Basic Gray, Calypso Coral & Bermuda Bay & they are all different widths. Finally, the Gold Foil fruit is using the Itty Bitty Tutti Fruitti punch pack, stuck on with Glue Dots & the Tutti Fruitti Sequins - these already have glue dots on them, so you just peel & stick. The banner & sentiments are from the Bloomin Love stamp set & there is a matching framelit in the Large Numbers Dies. Inked in Rich Razzelberry, Melon Mambo & Calypso Coral. I've also used the Starburst Punch & the Gold Love Mini Tinsel.